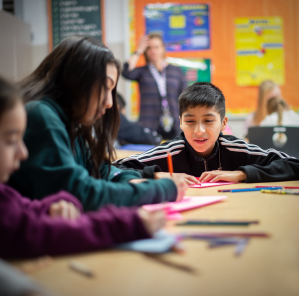 Over the past couple of weekends, CCSD59 students, parents, and community members showed their appreciation for music and art by attending two annual district events, the Choral Festival and the Fine Arts Festival. 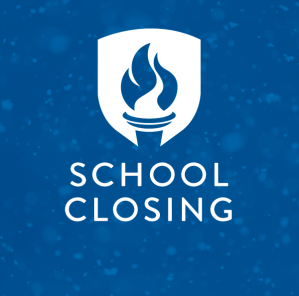 Both festivals rotate every three years between CCSD59’s junior high schools which act as the hosting school. 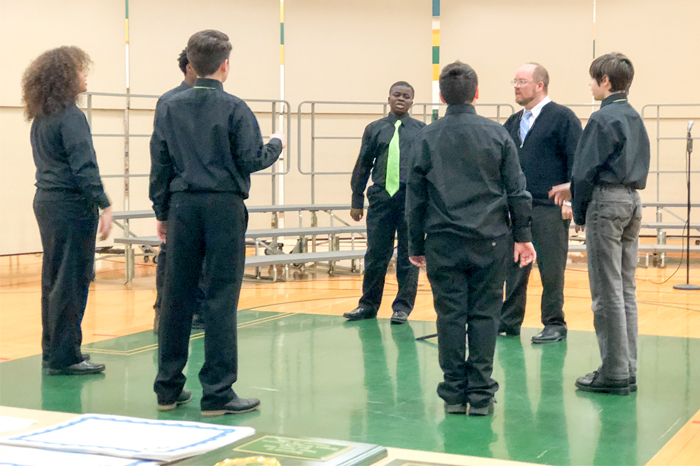 On Saturday, February 24, CCSD59 students performed at the Choral Festival which spotlights musical talent in the district. 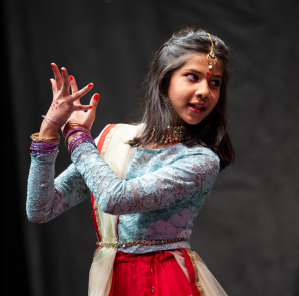 Nearly 400 students from Friendship, Grove, and Holmes junior high schools and Forest View, John Jay, Robert Frost, Salt Creek, and Rupley elementary schools performed in the festival. It was estimated that over a thousand people attended the event. 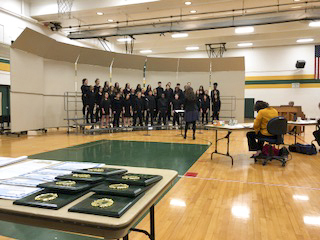 The yearly Choral Festival allowed CCSD59 students the opportunity to perform three pieces, receive a rubric-based numeric score from qualified judges, and hear feedback from them. Judges also hosted clinics with students on how to improve and highlighted positive aspects of their performances. 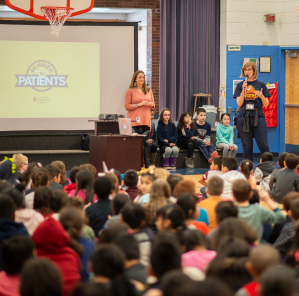 In addition, students had the opportunity to hear other groups perform and receive feedback, which adds another layer to their learning experience. 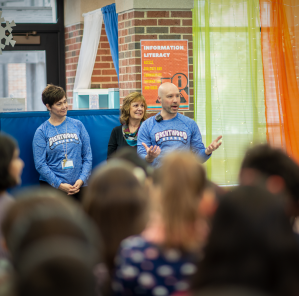 The pieces performed at the festival were selected by CCSD59 teachers but had to meet specific guidelines that are required for all selections. 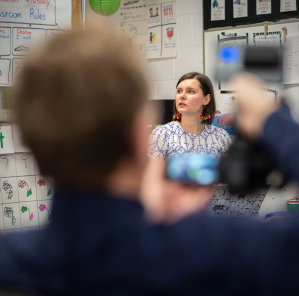 The preparation and hard work began at the beginning of the year, with teachers putting careful consideration into their selections and working with students to improve and refine their performances or increase the difficulty level of songs. Music teachers at CCSD59 are thrilled that enthusiasm for the festival is still going strong after nine years. 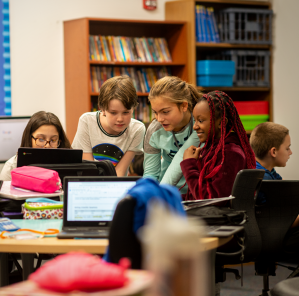 They feel it not only provides the students with an excellent way to learn and hone their skills as musical performers; it also provides opportunities to learn about collaboration, giving and receiving objective feedback, and being part of a team. Feedback from the Choral Festival was extremely positive both for participants and attendees. 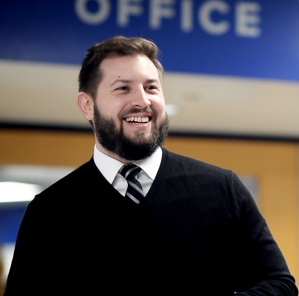 “I love the proud looks on the students’ faces when they know they have done well. 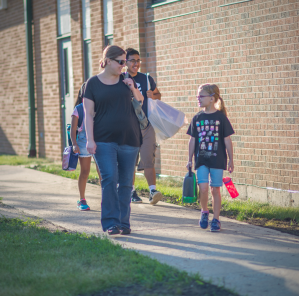 I also love the proud looks on their parents’ faces when they come to pick the children up,” said Andrew Brand, who teaches fine arts at Robert Frost. 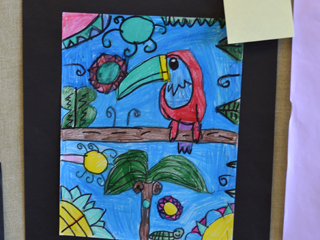 The many talents of students of all ages were also featured at the district’s Fine Arts Festival on Saturday, March 3. 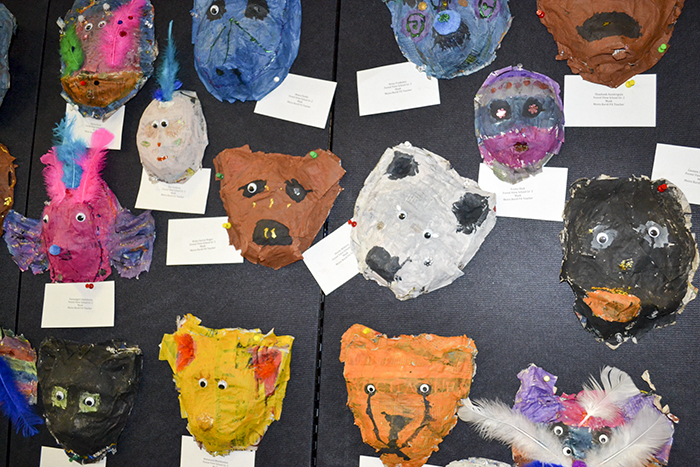 The artwork of over 500 students was on display and 200 students performed musical pieces at the show. 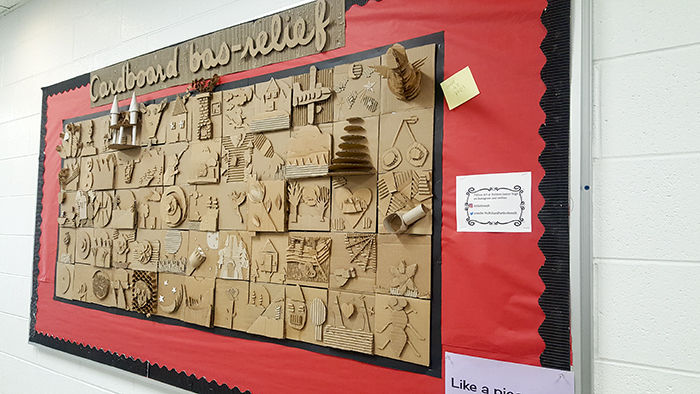 A wide variety of mediums were used to create the displayed artwork, including tissue paper, paper mache, oil pastels, tempera and acrylic paints, pencils, mixed-media, stop-motion and digital animation, pixel and digital, cardboard, foam, and clay, and both 2D and 3D artworks were featured. At this year’s event, post-it notes and pens were provided near each art display for guests to interact with the artists by leaving compliments and words of encouragement. 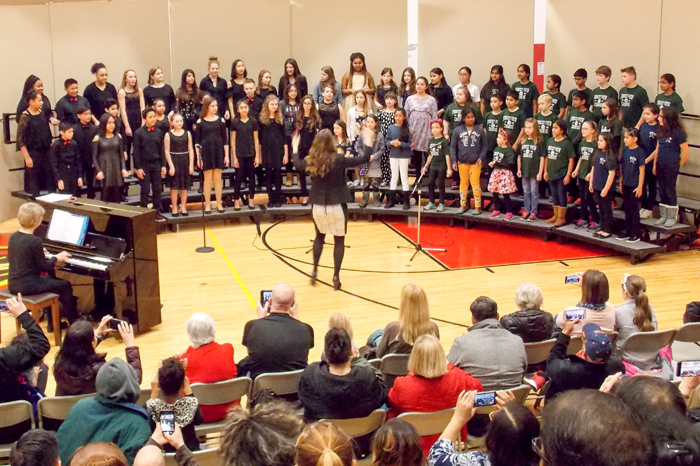 Music from the three participating elementary choirs as well as the Holmes band, orchestra, and sixth grade choir was featured at the event for attendees to enjoy. For the first time this year, the Holmes orchestra and band combined for two symphonic pieces, with students and teachers working collaboratively in the month leading up to the festival to prepare them. The grand finale was a combined choir of elementary students from Forest View and John Jay schools with the Holmes sixth grade choir. 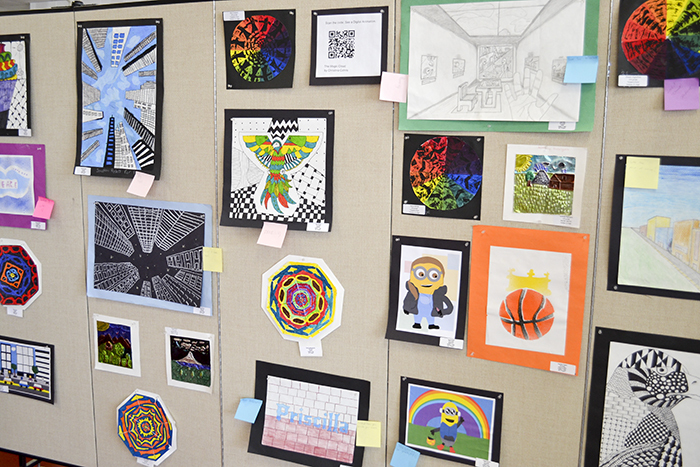 The Fine Arts Festival is a culmination of work that began at the start of the school year. 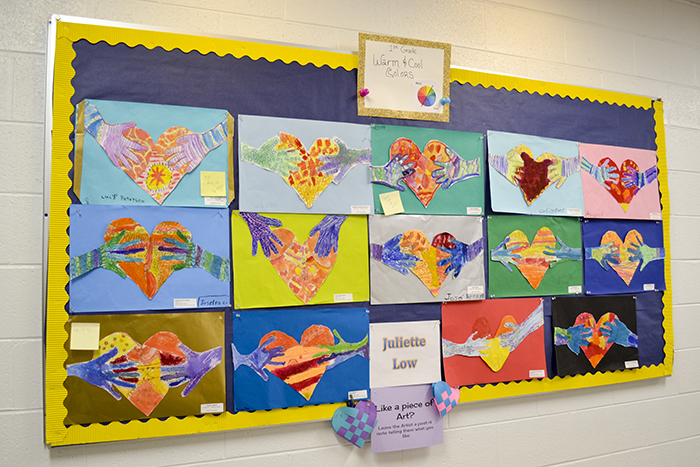 Throughout the year, teachers prepared for the show by gathering, matting, and labeling a wide variety of artwork to showcase at the festival. 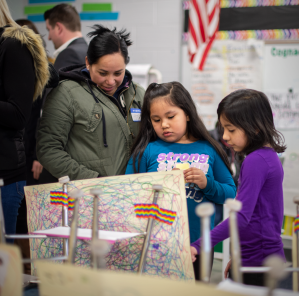 The students worked diligently inside and outside the classroom on their artwork to present pieces they were proud to share. 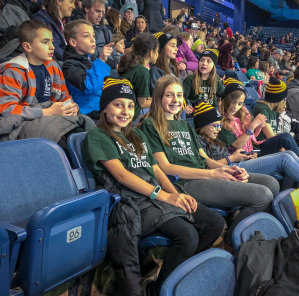 Holmes students volunteered their time to make sure the show ran smoothly by setting up performance areas, hanging artwork, selling concessions, and guiding guests. 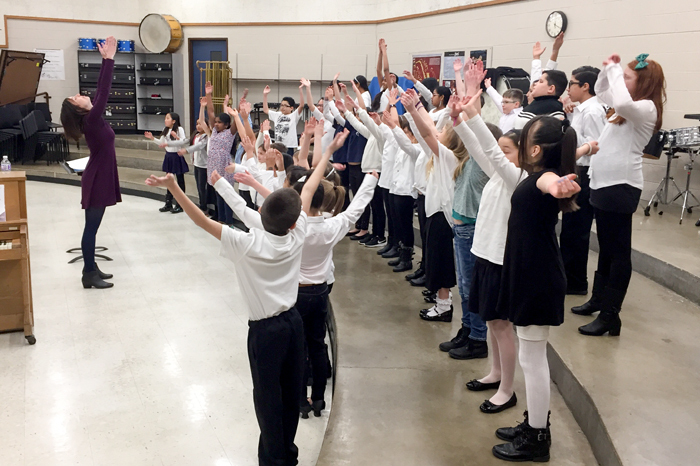 The chorus students practiced hard on a varied repertoire of music for their musical performances. 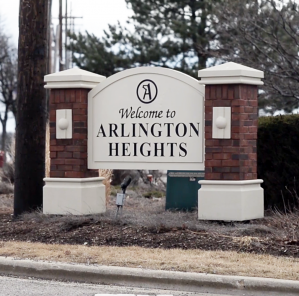 By alternating schools for the festival every three years, students are provided the opportunity to both show their own accomplishments and share those of their family and friends living throughout the CCSD59 community.